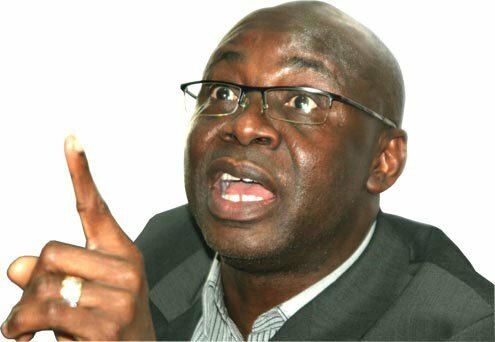 The vice presidential candidate of the Congress for Progressive Change (CPC) and preacher, Pastor Tunde Bakare, has threatened to institute legal action against two soft-sell magazines over a libelous publication in their current edition.In a statement signed by Femi Akintunde-Johnson and made available to Daily Sun Bakare’s lawyers, Adewale Lashinde & Co had been instructed to write the publishers demanding a written apology and retraction of the libelous publication, published in a special edition of the magazines. He also demanded another apology and a retraction to be published in two national daily newspapers, warning that failure to comply within seven days, his (Bakare) lawyers would commence legal action against the publishers. According to him, the promoters of the farce would be put to the strictest scrutiny while availing legal authorities with full details of the genuineness of their information as well as the identity of their sponsors. Akintunde-Johnson added: “It has come to our attention the spate of spurious syndicated stories blatantly concocted and recklessly assembled with obvious desire to bring the name, status and reputation of Pastor Bakare into odium and disgrace.“During the outgoing week, two soft-sell magazines worked hard to sell a baseless story claiming that Pastor Bakare was implicated in an adultery scandal. That is a balderdash. A figment of sick minds”.